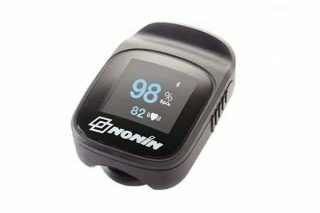 Nonin’s Finger Pulse Oximeter, measures arterial blood oxygen saturation and pulse rate using Nonin’s clinically proven PureSAT® pulse oximetry technology. The device is designed to help clinicians and patients with challenging respiratory conditions, enabling then to proactively identify issues for early intervention and thus avoid re-hospitalization. Operating Life: 600 spot-checks (30 sec/spot-check) in a 6 month period.